These raw bites caused a bit of a dilemma in the Southern In-Law house this weekend. I mean, when you make "raw balls" you're going to have a bit of a problem. Firstly it was deciding whether they should be raw balls or raw cookies - we decided on balls because Jesse said the looked better (should I be worried about this? I don't want to know..) and I decided they were more portable that way. Then once they were made - the jokes started. "That smells delicious!" "What?" "Your balls.... oh wow... that sounded bad"..... "These taste amazing" "What are they?" "Raw balls" "You're going to get some weirdos looking at your blog if you post that on your blog". But you know what.. they taste amazing - and at least they gave us a laugh. The biggest dilemma came with naming them - because we couldn't just call them "raw balls" as some people may have other ideas about what that means (I am seriously cringing at writing this post - but let's continue). 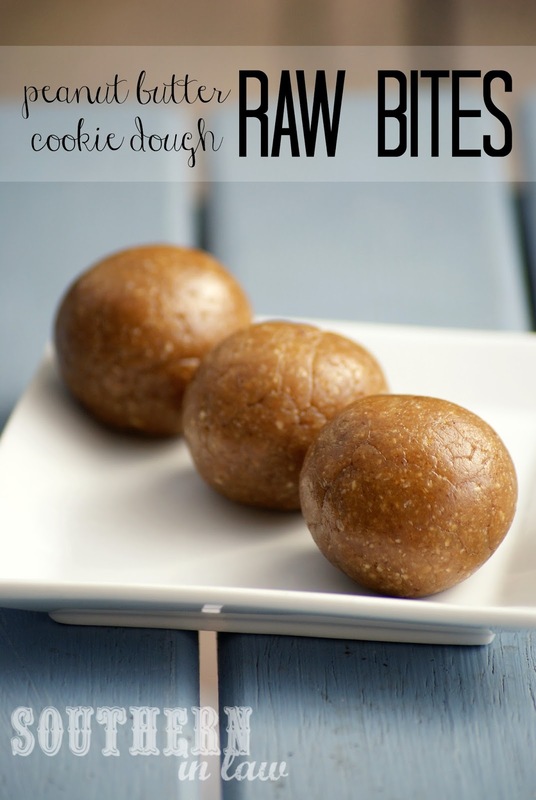 They taste just like cookie dough and they are super filling so they're the perfect portable snack - we decided on raw balls as Jesse didn't like my idea of calling them Powraw balls because it was "lame". Nonetheless, they're a delicious snack that's so easy to make - so let's get onto the recipe! In a food processor, first chop up your dates. Add in your oats, peanuts and vanilla and process until the mix begins to form a "clump". If your mix is too try, simply add in some water - just a couple of drops at a time. Form into ball shapes and place into a container to chill. Eat within a week, stored in the fridge or store in the freezer to keep for longer. Note: whilst these are healthier than regular cookie dough - they're still energy dense as all raw treats are so keep this in mind! We usually make the mix into 4 larger bites and have one bite as a snack - they're way more filling than you'd think! But tell me, what's your favourite snack at the moment? 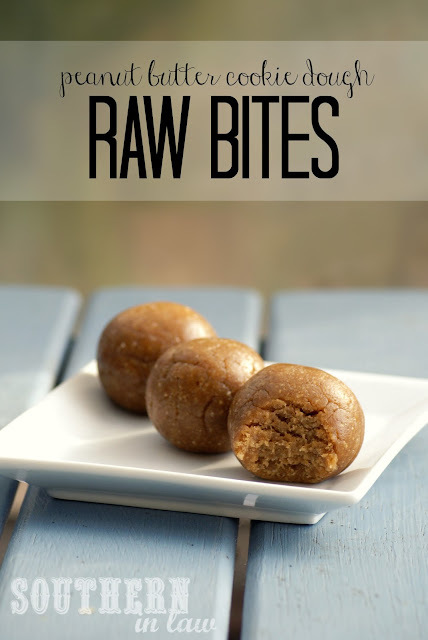 "Raw bites" is a good compromise! Hahah, I never thought about the naming of it... either way, they sound delicious. They've definitely been a known thing in the past few years, but for some reason I've never attempted my own. This should change! Definitely try them out - somehow all of ours have disappeared?